Well, the Phoenix is gone, and the dirty old Fenway is, too. 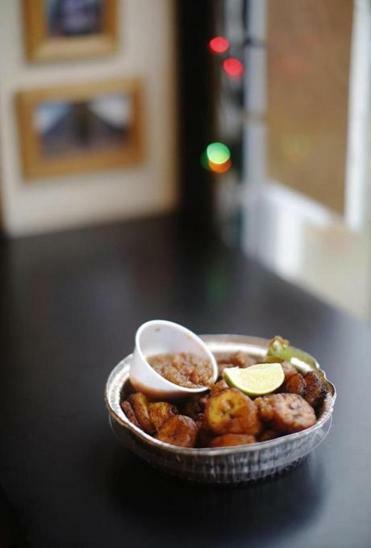 Now, “Top Chef” maven Tiffani Faison has a trio of excellent restaurants all in a row around the corner on Boylston Street: Fool’s Errand, Sweet Cheeks, Tiger Mama. You can get sushi at the old Howard Johnson’s, for God’s sake, because now it’s the Verb, a boutique hotel with a real restaurant, Hojoko. Luxury condos abound. But a block away on Peterborough Street, I’ve found lingering shadows of the old Fenway. Tucked among low-rise brick apartment buildings is an unassuming stretch of restaurants that don’t get much buzz: Sushi Kappo; Gyro City; Fiouna’s Persian Fusion; Bennett’s Sandwich Shop; and good old El Pelon Taqueria. El Pelon has existed since 1998 — two decades, an eternity in restaurant years. Owner Jim Hoben opened the place because he lived nearby, and there weren’t many choices in the area. He’d been in the industry a long time, at Rocco’s in the Transportation Building and at Delux Cafe in the South End. And at every restaurant, he says, he worked alongside gifted Hispanic cooks. “You could take the lowest-level guy in the kitchen, and he could cook Mexican food beautifully,” he says. 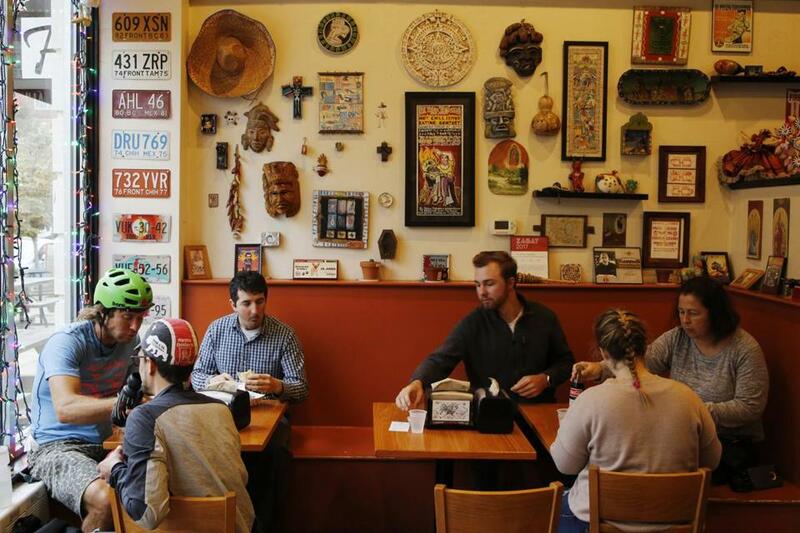 Framed photos, license plates, and cultural items adorn the walls at El Pelon Taqueria. He was inspired. When he opened El Pelon in 1998, Boston lacked lower-cost Mexican restaurants, he says. Anna’s Taqueria was new, and chains like Chipotle hadn’t taken hold. The menu was basic — tacos, burritos — but his cooks were passionate. Recipes were often developed when someone’s mother would come to visit, he says. People would get into shoving matches over who made the best beans. Hot sauces were made from scratch. Today, El Pelon still feels like an unassuming little neighborhood restaurant: handful of wobbly tables, framed customer photos and license plates on the walls, a small walk-up counter, the original menu with some additions. Hoben says that he sees many of the same customers every day, and so he expanded his menu over the years to keep them intrigued: tamales, enchiladas, tortas. What I like are the plantains, which you just can’t find elsewhere. The cylinders are pale gold, sweet and soft almost to the point of over-ripeness, fried in canola oil. They are warm and starchy, with a sugary, caramelized glaze. The platter comes with pureed salsa that isn’t chunky but isn’t really smooth, either, just barely pulpy and with a tingle of kick. It’s made with tomato, onion, poblano peppers, and a little habanero, served in a plastic thimble. Not fancy, but delicious. You can get those plantains tucked into an El Guapo burrito, too, stuffed with steak and rice. “People go nuts for them,” Hoben says. 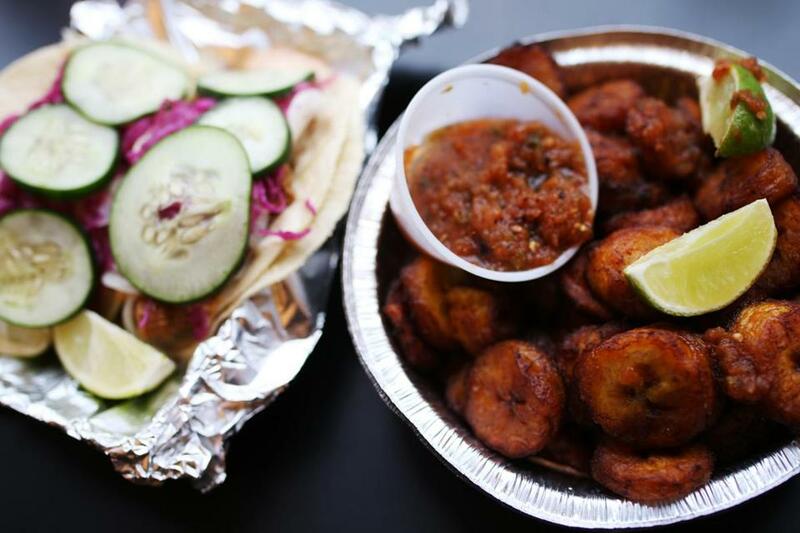 Freshly prepared cod tacos and plantains sit on a table at El Pelon Taqueria. And like everything else at El Pelon, they’re simple. “Sometimes I’m afraid to say what our recipes are because they’re so simple: three ingredients and a mixer. A lot of it is letting the food do the talking. These things taste good with just a little salt, cooked properly,” he says. And so I dig in next to a couple of BU students, a local character who seems to know the cashier and sings out his order, and a tired-looking guy in painter’s pants. It’s quiet here. I appreciate the new Fenway. Tiffani Faison’s restaurants? Not a bad one in the bunch. Cava? I’ll happily wait in a 45-minute line for their warm grain bowls topped with spicy feta. Eventide? Hard to find a better lobster roll in the city. And Hojoko is a worthy culinary replacement for Howard Johnson’s. But gliding down Boylston Street also reminds me that I’m not 28 anymore, working for an alternative newspaper. I could now afford a lobster roll, if the spirit moved me. Today it doesn’t. Because a block away on Peterborough Street, for as long as it takes to polish off a plate of $5.75 plantains, I can turn back time. 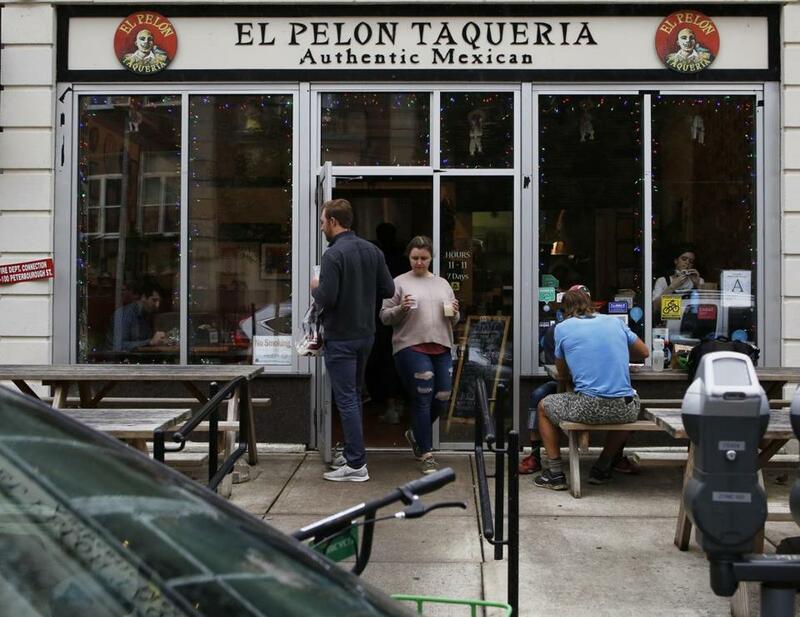 Open since 1998, El Pelon Taqueria remains an unassuming neighborhood spot on Peterborough Street.